Inspired by Fast Cars and Classic Style. Borrowing its bold imagery from the muscle cars of yesteryear, there is little wonder as to why CAO Flathead is among the most recognizable cigars on the market today. CAO took the Flathead’s totally unique imagery and applied it to an ashtray that’s like no other you’ve ever seen. 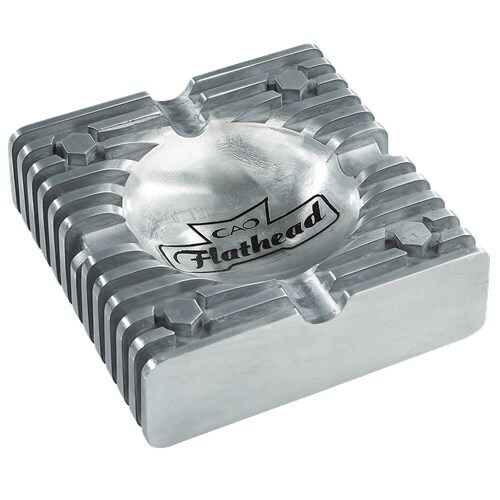 Made to look like the engine of a hot rod, the CAO Flathead Metal Cigar Ashtray is emblazoned with the CAO Flathead logo. Made with a durable and possessing a sleek design, this ashtray makes a great addition to any enthusiast’s collection.